It's been almost two years since my last homepage update. I had the chance to work on a Cover for Mighty Morphin Power Rangers #1 from Boom Studios. The cover was done for Tate's Comics in Florida. This is my first cover in which I did the art. Had a blast working on this cover!! You can also find a clean version in the gallery. If you wanna get a copy, you can get yours here. A couple of months ago, I found out more of the art I did for Hasbro has presented itself on another product. 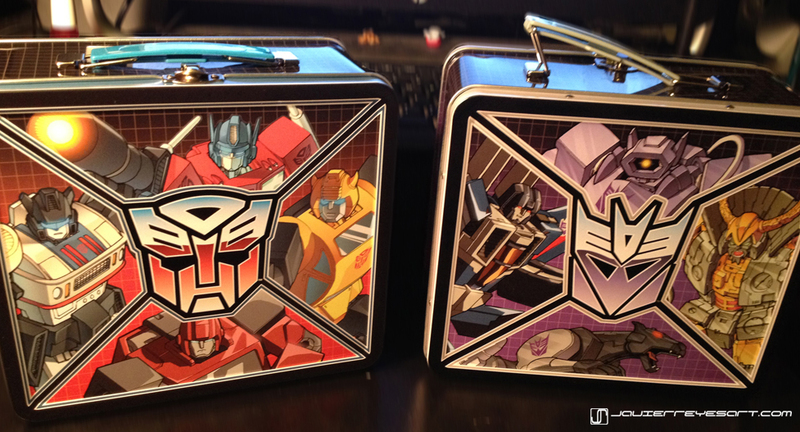 This time it's Transformers theme lunchboxes! Found out about these little suckers through youtube reviewer mitchsantona review of the product. The lunchboxes include work by other TF artists including Don Figueroa. I got to work on Ironhide, Wheeljack and Thundercracker. These guys are available at Big Bad Toy Store! Quick updates to the galleries! Go check it out! Here is a gift commission for my good friends, writer, Martin Fisher. This guy got me started drawing the bots I draw today! Hey Guys! I was fortunate enough to color this incredible cover drawn up by my man Ian Mcginty. This cover is inspired the old timey SteamBoat Willey. This will we the Variant Cover D for issue #11 of the Bravest Warriors Comic by Boom Studios. Back at the end of last year I was contacted to create some art for a Custom Digital Pinball machine. I gotta say this was my first time tackling something like this. The client was very clear on how he wanted it to look like. The client wanted a battle worn look to the bots and I did my best to create this look on the bots. One drawing may seem familiar to most of you guys and it is the large Optimus Prime, which was based of Don Figueroa's Optimus Prime Spotlight cover from the IDW Publishing Comics. It was a lot of fun working on the planets and the pin-ups. After all inks were completed it was off to the color the art! Click to see complete picture! Now comes the most intimidating part which was the graphics. I've never really done graphics at this scale...but thankfully it turned out fine. After all the art was done and much tweaking later, the client sent it off to print . Once he received the prints he applied it to the wooden cabinets and here are the results! Click to view full Picture. Photos courtesy of the client. Hope you guys dig it! Overall a very unique and fun commission. Well I didn't attend it, but to my surprise something I worked on was showcased there. Back in my last year at SCAD on 2011 I got the opportunity to do some work for Hasbro. I got to do some art in Transformers Classics style. I worked on a bunch of characters, but unfortunately I can't reveal them just yet. The Soundwave on the...Soundwave... deck was drawn by me. The graphics and everything else were of course done by the Loyal Subjects. Here are some of the other drawings I did including Grimlock, Snarl and Soundwave. The shirts don't seems to be available anywhere yet, but the decks are available at the Loyal Subjects Store and Big Bad Toy Store. Can't wait to see where the rest of the drawing shop up later on. I will keep you guys update on those. UPDATE 04.12.2013- The shirts are now available for pre-order at Big Bad Toy Store and the Loyal Subjects Store!